Deadshot and Harley Quinn. 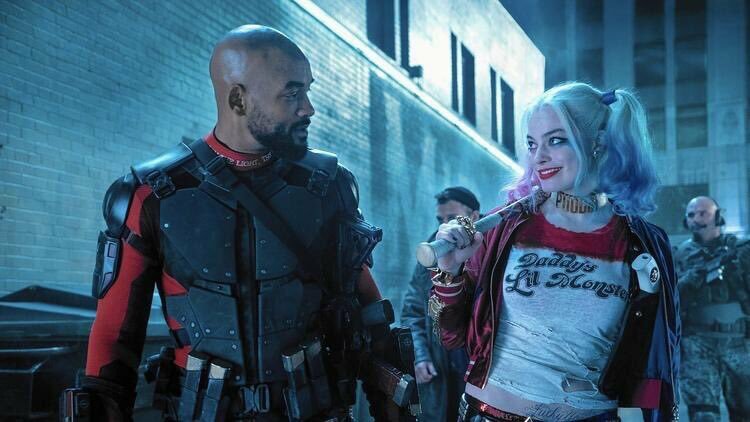 Will Smith as Deadshot and Margot Robbie as Harley Quinn in Suicide Squad (2016). Wallpaper and background images in the Suicide Squad club tagged: photo suicide squad movie still 2016 will smith deadshot floyd lawton margot robbie harley quinn harleen quinzel. This Suicide Squad photo might contain berretto verde, forze speciali, soldato d'elite, soldato d'elite green beret, forze speciali, tabard, tenuta da combattimento, and vestito da battaglia.